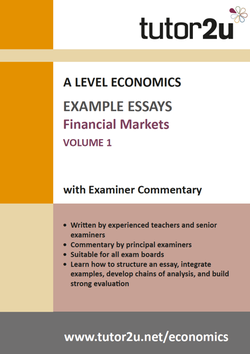 This booklet contains example essays on a range of financial markets topics, together with senior examiner commentary. As Keynes said: ‘When the capital development of a country becomes a by-product of the activities of a casino, the job is likely to be ill-done.’ (The General Theory of Employment, Interest and Money, 1936). To what extent do you agree that market failure is inevitable in financial markets? Justify your answer with reference to economic theory and evidence. In July 2017, it was reported that the Federal Reserve in the US were ready to press ahead with the unwinding of its crisis-era QE programme, as they gear up to shrink the central bank’s swollen balance sheet in spite of a spate of weak inflation readings. To what extent has QE been successful? How important is the financial sector to the real economy and the prosperity of us all? “Regulation in finance has always been a delicate topic; the internal players battle for less of it, and the rest of society asks for more of it.” “The capital requirements of our largest banks are now ten times higher than before the crisis. The Bank of England has stress tested them against scenarios more severe than the country currently faces. As a result of these actions, UK banks have raised over £130 billion of capital, and now have more than £600bn of high quality liquid assets.” Assess the view that increased regulation of the banking sector gone too far. 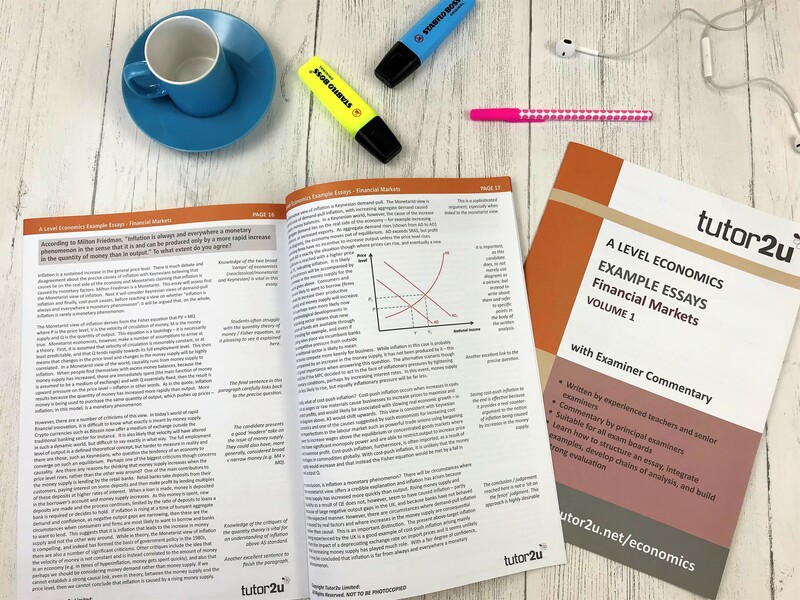 “While the government plans to cut its annual deficit year on year until 2025, Britain’s households are going in the opposite direction.” Assess the most effective policies that the UK government might adopt to address the problem of household debt. “Peer-to-peer (P2P) lending — direct lending between lenders and borrowers online outside traditional financial intermediaries like banks — first emerged in the United Kingdom and the world with the launch of Zopa in 2005.” Discuss the extent to which P2P lending or other financial innovations might undermine the role of Central Banks in conducting their responsibilities. According to Milton Friedman, “Inflation is always and everywhere a monetary phenomenon in the sense that it is and can be produced only by a more rapid increase in the quantity of money than in output.” To what extent do you agree? “Housing booms are wasteful - and the subsequent busts are deeply destructive. Worse, they have become bigger and more frequent since the 1970s. The blame lies with the financial sector and excessively loose monetary policy.” Assess the extent to which the financial sector is responsible for housing and other bubbles. “In my view, an important contributor to stable competition is to ensure that the orderly failure of firms is possible,” said Mr. Bailey, the PRA’s outgoing chief executive.. “An industry in which firms cannot be allowed to fail is also likely to be one in which very few firms seek to enter and compete with well entrenched, established participants.” Assess the view that banks should be allowed to fail.